Arewa Youth Forum, AYF, has lamented that President Muhammadu Buhari and his team has performed below Nigerians’ expectations. “A situation where majority of Nigerians languish in object poverty and penury, where people can no longer eat two times a day not to talk about three square meals a day is a worrisome development and a cause for concern for us and we believe should be for all well meaning Nigerians. “It is because of this we are calling on the President to immediately undertake a cabinet reshuffle and bring in capable Nigerians who can assist him in changing the present status quo. “As an organization with affiliates across the 19 Northern states and Abuja and as working stakeholders across the whole country, there is a concensus that the ship of state is in dire strain. The bottom line is that Nigerians standard of living is at one of its lowest ebb in history and as a government that campaigned on the mantra of change, the time to change things cannot be better than now. “As the umbrella organization of all youths in the north and committed to the wellbeing of Nigerian youths as a whole, we are worried about the prevailing situation in the country. “But instead of solutions, we are daily inundated with news on alleged graft, in house fighting and at other times mundane issues from this government that was given so much by Nigerian people who are yet to see the fruit of their sacrifice and battle to root out the Peoples Democratic Party, (PDP) that failed to live up to the expectations of the people after 16 years in power. 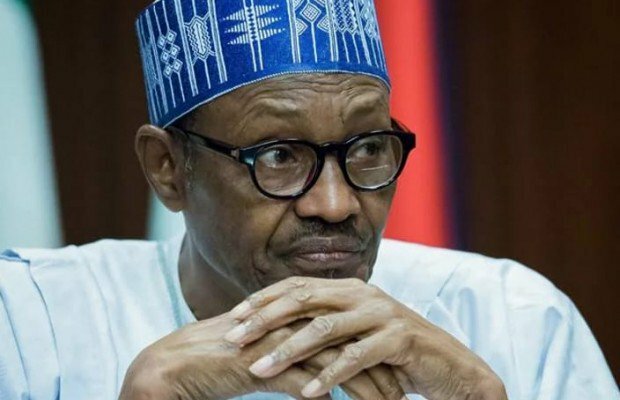 “While we are not unaware of the rot and desolate situation that the All Progressives Congress, (APC) and its main flagbearer President Muhammadu Buhari met on ground, we also make bold to say that we, nay Nigerians expected better performance from the PMB led administration more than two years in the saddle. “Let the President and his co travellers know that majority of Nigerians were in unison that the PDP failed, even your party APC know that fact and we believe that is why they came with the change mantra. “But alas, two years down the road, many things have refused to change and instead the downward slope from the previous administration that Nigerians so much abhor and voted massively against and in favor of the APC and many others for President Buhari as an individual. “The sluggishness of this administration in tackling some salient issues of governance has left so much to be desired. Up till now, Nigerians are still waiting for report of the Osinbajo committee that investigated the suspended Secretary to the Government of the Federation, (SGF) and Nigeria Intelligence Agency (NIA) boss; government has continued to keep mute. “The recent allegation by the Minister of state, Petroleum, Ibe Kachikwu against the GMD of NNPC, Maikanti Baru is trending and government has not deemed it necessary to speak to Nigerians on the matter. This is a sour point for this administration and President Muhammadu Buhari who many had so much faith in. “Consequently, after an overview of the polity and the present predicament of the populace, we want President Muhammadu Buhari to know that his cherished reputation and integrity which was a major factor in the victory of the APC in the 2015 general elections is gradually being eroded.